It’s mango season in Laos finally! 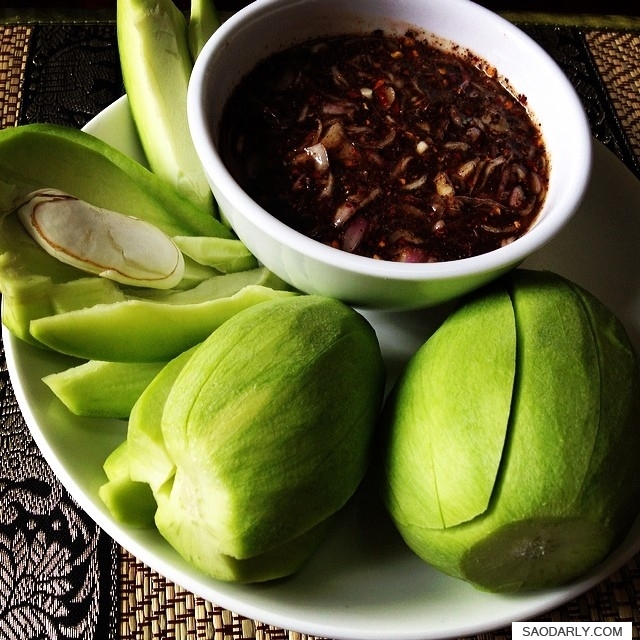 We are having young green mango with fermented fish dipping sauce (Jeow Padek Waan) for afternoon snack in Vientiane. I bought two kilos of the young and crunchy green mangoes at the local market. This is the sour type (Maak Muang Som). When I took a bite out of one, it is as sour as a piece of lime. I have to Thank you for shared all Lao’s food in FB. You are much welcome, Alex and thank you for visiting my site. I greatly appreciate it.